For this week’s Foodie Monday Blog Hop, the 103rd edition, the theme is ‘steamed dishes’. I decided to try out something I have always wanted to – Mixed vegetable idlis! And they turned out so, so good! Mixed vegetable idlis might be a common breakfast dish in a lot of homes, but that is not so in our case. We end up making the good ol’ plain idlis over and over again, serving them with a variety of chutneys and sambar. Now that we have tried and loved the mixed vegetable idlis, I am pretty sure we will be making them more frequently. These idlis have the goodness of urad daal and veggies in them, and are a nice, welcome change from the regular idlis. They taste delightful, and can be served as is – they don’t really need an accompaniment. What’s more, they are steamed and, therefore, super healthy, too. This is a great kid-friendly breakfast or snack dish, a lovely way to sneak veggies into their diet, I think. Here’s how I made the mixed vegetable idlis. First, let us prep all the veggies. Chop the cabbage, cauliflower, onions and capsicum finely. Remove the strings from the green beans and chop them finely too. Peel the carrot and chop it very finely or grate it. Chop the coriander finely. In a heavy-bottomed pan, heat 1 tablespoon of oil. When the oil is nice and hot, add the chopped cabbage, cauliflower, onions, capsicum, beans, carrot and the shelled green peas, along with the asafoetida. Stirring intermittently, let the veggies cook on a medium flame for a minute. Now, add turmeric powder, salt and red chilli powder to taste. Mix well. Sprinkling a little water if needed, cook on medium flame for a minute or two more, stirring intermittently. Switch off the gas. The veggies should be cooked, but not overly tender – they will be steamed later, with the idli batter, anyway. Mix in the finely chopped coriander. Keep aside and allow the vegetables to cool, while you make the other preparations. Grease the idli plates using a little oil, and keep them ready. Add salt to taste to the idli batter. Peel the ginger and chop it into small pieces. Chop the green chilli into small pieces. Grind the ginger and green chillies into a paste, in a mixer, using a little water. Add this paste to the idli batter. When the vegetables cool down completely, add them to the idli batter. Mix well. Now, pour a ladleful of the batter into each of the moulds in the greased idli plates. Place the plates in a pressure cook and steam them, on high flame, for 10-12 minutes. Do not place the pressure cooker weight. When done, remove the mixed vegetable idlis from the plates, using a spoon. Transfer them to serving plates. Serve hot, as is or with sambar or chutney of your choice. You like? I hope you will try out these healthy and tasty mixed vegetable idlis too! The 25th and 26th of July, 2017, saw a beautiful workshop on millet foods being conducted at the MS Ramaiah campus in Matthikere. This workshop – Workshop On Millet Foods For Dieticians And Chefs – was organised by the Government of Karnataka, in association with MS Ramaiah Institute, with the intention of spreading more awareness about millets and millet-based foods. This is an extension to the #LetsMillet campaign being vigorously undertaken by the Government of Karnataka, an attempt to reach out to the masses after the hugely successful Organics And Millets Mela held in April 2017. I am thankful to have been offered an invite to attend and cover the workshop which, I think, was just as successful as the Organics And Millets Mela. It was met with a wonderful, enthusiastic response from chefs, dieticians, students, home cooks and various dignitaries from the worlds of food, nutrition and politics. To say I am overwhelmed and enlightened by the experience of attending the workshop would be an understatement. I’ve learnt so much in these two days; watched so much of magic being unravelled; life in my kitchen is never going to be the same again, I’m sure. Some of the most commonly asked questions about millets were answered, this first day of the workshop. Here’s a glimpse of all that happened on Day 1 of the workshop, and the key take-aways, for your viewing and reading pleasure. We’ve been hearing about this ‘millets’ thing day in and day out. But what are they, really? Millets are actually grasses with tiny seeds, something that has been cultivated in India since ages. They are hardy crops that can be grown with little investment and little usage of water, and hold immense nutrition within their tiny selves. If they are so good for us, why aren’t we using more of millets? Once upon a time, millets were consumed in generous quantities by Indians, and were extensively used to feed cattle as well. However, with advancing times and the increasing influence of Western culture, millets began to be looked down upon. They began to be called ‘poor man’s food’ or ‘cattle feed’, and our diets changed to include primarily wheat- or rice-based products. Our consumption of millets has gone down drastically, both in urban and rural areas, so much so that it is negligible. People have forgotten how to use these ancient powerhouses of nutrition aka millets. Today, when global warming is a scary reality that we are slowly waking up to and water conservation is the need of the hour, millets can be of great help. Growing 1 kg. of rice consumes about 4,000-5,500 thousand litres of water, while growing a kg. of millets needs just about 20% of that. Moreover, millets can be grown even in bad weather conditions, in poor soil conditions. They are sturdy crops that aren’t usually infested by insects or diseases and, hence, require little or no pesticides and fertilisers. Therefore, the cost of growing millets is much, much lower than that of cultivating wheat or rice. Sadly, though, there is little demand for millets today. Today, millets are grown only by those farmers who are unable to grow anything else, because they are extremely pressed for money or have land that has extremely poor conditions. Millets are good for the farmer in a lot of ways. So, if you begin to include more millets in your daily diets, you are actually helping the poorest of farmers, saving them from a life of misery. By buying millets, you also contribute to environmental good health, by reducing the stress on already stressed-out water resources. You also help in cutting down the use of fertilisers and pesticides. Millets are, therefore, good for the environment, too. This is not all. Millets are good for our health, too. Today, non-communicable or lifestyle diseases like high blood pressure, diabetes, high cholesterol are rampant in rural and urban India. 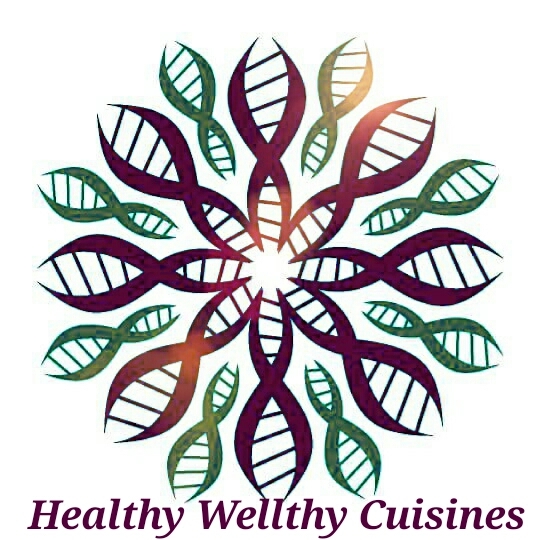 Many of these diseases occur because of our sedentary lifestyles, increasing stress levels, and an unbalanced diet (read: increasing use of junk food and drinks, a high level of wheat- or rice-based foods, and a lack of inclusion of different types of fruits, grains, vegetables and other ingredients). Thanks to their high nutritional content, the inclusion of millets in our daily diets can be one of the ways out of this situation. It is rather sad that people today are turning to foreign grains like quinoa and oats for their nutritional values, but ignoring our very own millets, which are far superior to these foods (even to rice and wheat, in case of most nutrients). What’s this #LetsMillet thing? Who are the various stakeholders? The Government of Karnataka is presently on a mission to propagate awareness about millets through workshops like this one, to encourage people to use more of them, and to teach them different ways in which they can do so. Check out the #LetsMillet hashtag on Facebook and Instagram to take a look at the considerable work that has been done in this regard. Chefs, dieticians, food bloggers and other social media influencers have an important role to play in contributing towards this end. So, millets can be used just to make stuff like ragi mudde, right? Millets can be used in a variety of dishes, traditional and contemporary, vegetarian and non-vegetarian. Also, people take millets to mean just ragi (finger millet) or bajri (pearl millet), while that is so not the case. These are just two types of millet – there’s a whole millet family out there, for you to explore and get the benefit of. Pearl millet, kodo millet, little millet, proso millet, finger millet, barnyard millet.. there are so many varieties of millets! Most people today don’t even know what these grains look like! Further, these grains can be used to make anything from gobi manchurian, dosa, idli, curd rice and bisi bele bath to risotto, ravioli, cakes and breads. For the last two years or so, chefs, home cooks and food bloggers have been experimenting with different types of millets, and there is now a wealth of recipes to be explored. So, millets does not translate into just stuff like ragi mudde.. almost anything can be made from them! They can be used in place of wheat and rice in all the dishes you commonly consume today, like curd rice or sambar rice, and they can be made into delicacies like payasam and kesari bath, too. That said, millets possess certain qualities that are inherent to them, and a chef should work around them while trying to develop dishes with them. Should I use millets just because my ancestors used them? The Honourable Minister of Agriculture ended his speech with a request to everyone to consider increasing the use of millets in their daily diets. He stated that he does not solicit people’s co-operation because increasing consumption of millets is a political agenda, or because our ancestors used these grains, but because they are good for us in so many different ways, a fact that has been backed up by a whole lot of systematic scientific research. Dignitaries speaking about various aspects of millets, including their nutritional values and the way in which they should be introduced into one’s diet. Among the dignitaries who graced the occasion were Dr. Vilas Tonapi, Director – Indian Institute of Millets Research (IIMR), Hyderabad; Dr. Bhaskarachary of IIMR, Hyderabad; Dr. Vibha Shetty, Professor of Prosthodontics, Faculty of Dental Sciences, MS Ramaiah Dental College and Hospital; Ms. Hema Arvind, Chief Dietician, MS Ramaiah Memorial Hospital; and Dr. Govind R Kadambi, Pro VC-Research, MS Ramaiah University of Applied Sciences. What are the various nutrients that millets possess? They are high in dietary fibre, so they fill you up with lesser portion sizes. Therefore, they are helpful in weight management. They also help in lowering constipation. They possess a low Glycemic Index (GI), and are thus useful in controlling diabetes. They have anti-tumour and anti-carcinogenic properties too. They are low in sodium, so they are helpful in the management of hypertension. They help in the lowering of serum cholesterol and triglycerides. They possess a highly alkaline nature, thereby helping in preventing and lowering the effects of irritable bowel syndrome, acidity, gallstones and stomach ulcers. They are rich in anti-oxidants. They possess hypo-allergenic properties and, hence, help in preventing allergic reactions. They are rich in iron, thereby helping in the prevention of anaemia. They are useful in the prevention of liver disorders. Millets are far superior to wheat and rice and even quinoa, as far as various micro-nutrients are concerned. They are quite high in protein, and hence, play a crucial role in a vegetarian diet, wherein protein sources are limited. If millets are so high in nutrients, should I be switching over to an all-millet diet then? No, that kind of extreme switching over in diet is not advisable, not recommended by dieticians or nutritionists. Yes, millets are very high in nutrients, but they do need to be supplemented by wheat, rice, pulses, vegetables, milk, meat, eggs and a variety of other foods, so as to provide complete health to a human being. What is advocated, really, through campaigns like this is an open mind, an acceptance to trying out different kinds of millets, at least a basic introduction of millets in your daily diet. All meals/snacks that you consume in a day need not be millet-heavy, but it would be great if at least one of them is. Also, millets are not a miracle cure for all your ailments. The increase in lifestyle diseases in today’s times in not just a product of an imbalanced diet, which can be cured by the introduction of millets in your diet. There are other steps that need to be taken, too, to curb this, such as lowering overall stress levels, incorporating more physical activity in our lives, etc. What are the things that I should keep in mind while introducing millets in my daily diet? Millets can be used by people of all age groups, from a 6-month-old baby to a geriatric person, irrespective of their health condition. However, millets are believed to be goitrogenous in nature (i.e. they can enlarge one’s thyroid gland) and, hence, it would be advisable to consult a doctor before beginning to consume millets if you have a thyroid condition. If you have any other chronic ailment, too, you should ideally consult with a doctor to check on how much of millets you should consume in your daily diet, and in what form. Soaking millets and throwing away the water, sprouting, cooking, roasting and fermenting are some techniques that are recommended to reduce the negative goiterogenous properties of millets. Do not get carried away when you are just beginning to introduce millets into your daily diet. Do not go overboard. Introduce them slowly, little by little, into your diets, and wait and check whether they suit you. To start with, you may consume just one type of millet for a while, mixing it with rice or pulses, about twice a week, to see how they agree with you. Slowly and gradually, you may increase the quantity of millets you use. Since millets are non-glutinous, baking with them can be tough. You might have to mix whole wheat flour or maida to them, to get good results. There might be a slight difference in texture, when you substitute millets for rice in a dish known to you. For instance, pongal made with barnyard millet or proso millet might be grainier in texture as compared to that made with rice. That is something you should keep in mind while using millets. Well, that’s how Day 1 of the workshop ended. I hope you enjoyed reading the post, and found it informative! Last weekend, I was invited to be a part of a workshop titled ‘The Power Of You’ at the famed Parsi eatery SodaBottleOpenerWala, on Lavelle Road. The workshop promised to touch upon things spiritual and emotional, including the healing power of food, how to choose the right ingredients for your food, and how to be the best version of yourself. The person conducting the workshop was none other than Anaida Parvaneh, pop star of the 1990s, a highly unlikely suspect for such a thing. I had a lovely time at the workshop, where I felt Anaida spoke my mind about food. I returned with my faith in the power of food and cooking renewed. This post is all about my experience at the workshop. Many of us still remember the pretty Anaida crooning to Oova Oova, back in the ’90s. She was a rage back then, after all, as we were growing up, singer of many more such groovy hits. What most of us don’t know (yet) is that there is a whole other side to the beautiful Anaida – Anaida Parvaneh (yes, that’s her last name!) is an Iranian by descent, someone who loves the food of her homeland. OK, she is a foodie at heart, who loves food in general. She is also a healer, writer and consultant for the entertainment and hospitality industry. I hear her workshops on yoga, meditation and overall wellness are extremely popular, the world over. SodaBottleOpenerWala (Bangalore) is presently running a food festival called Persian Pop-Up Kitchen, wherein Anaida will be acting as Chef and whipping up some lovely heirloom recipes that have been handed down through generations of her family. Interesting, right? This workshop is an extension of the food festival. The workshop began with Anaida speaking about the immense healing power that food possesses, of how it can be used to heal your mind, body and soul. She spoke of how, consequently, the person who cooks has a great responsibility – he/she is nourishing a whole being, and hence, needs to do the act with great love, caution, respect and patience. This is something I have always believed in, too. Then, she went on to speak about how it is critical to choose the right ingredients for your cooking. The ingredients pass on their energy, their nutrients, to you, through your food, and it is, hence, important that you choose them with great care. Use fresh and seasonal ingredients that haven’t undergone undue stress (read: unhygienically grown crops, unethically raised meat, or extremely processed food). She also talked about how one needs to be aware of the different properties that various ingredients possess, and to use them wisely – most of the medicines you require for your small and big ailments are already present in your kitchen, she believes, and I vouch for the same too. She suggested showing gratitude to food, to the ingredients that have gone into it, thanking the Universe for providing nutrition to you, thanking all those whose efforts have gone into putting your food on your table. Once you become mindful of this, she says, you cannot not eat right and stay healthy. I heartily agree, and strongly believe in the same. She also spoke about how food per se does not make you fat, but it is the kind of relationship that you share with food that determines whether it is healthy or unhealthy for you. If you eat in a hassled way (read: paying no heed to your food, seated in front of a television, or emotional bingeing because you are upset or happy), you will tend to veer towards the wrong foods or overeat, ultimately negatively impacting your health. On the contrary, if you build a good relationship with food, if you love and respect it, you will automatically begin to eat just as much as you need. So, it is not the rice or the ghee or the kheer that makes you fat – do include them in your diet, too – but the lack of being mindful with them that does. Anaida then went on to tell the participants about how food need not be elaborate or have too many ingredients for it to be comforting and nourishing. The foods that comfort you, that heal you, are, more often than not, simple ones. So true, right? These comfort foods are different for different people, and you need to figure out your own. It is you and you alone who can pinpoint the exact things that bring you comfort and happiness from deep within. For the benefit of the participants, Anaida demonstrated one of her favourite comfort foods – something she calls her Magic Soup. She believes this soup – loaded with vermicelli, turnip, coriander, carrots, corn, mushrooms and mixed sprouts, among other ingredients – has healing properties and that it can help anyone who is feeling under the weather. The soup, indeed, was simple, yet beautiful – I tried out the vegetarian version. At the workshop, we also had the pleasure of meeting Sourav Sachin of the Flipkart fame, who spoke about how all the power that you need to lead your life is right within you. It is your attitude that determines whether others are fair or unfair to you, he stated. It is your way of looking at things that makes life good or bad for you, he added. When you stop looking outside, and start looking deep within, your light will shine, he concluded. Both Anaida and Sourav’s words resonated with me, struck chords within me. The workshop felt like a reiteration of beliefs that I have always held. Deep inside, I think, all of us know all of this, but we often forget to be mindful in the chaos of everyday life.So, here’s to being more mindful, more slow, more accepting and aware of ourselves and what we really need! This week’s theme for the Foodie Monday Blog Hop, the 102nd edition, is ‘No Fire Recipes’ or dishes that are cooked without the use of the gas. The theme does allow the use of barbecue grills, electric toasters and sandwich makers, as well as OTG and microwave ovens, as these appliances run either on fire or electricity and not on gas. But then, I wanted to make something for the blog hop that is absolutely ‘No Cook’, which just needs assembling and no cooking at all, neither on the gas nor on a grill or oven. So, I decided to put up a simple recipe – Dahi Kela – that we have been making, in our family, for ages now. I’m not sure of the origin of this dahi kela recipe, but I have had it often as part of Gujarati thalis back when I was living in Ahmedabad. I have also often seen this dish being prepared at the Brahmakumari’s centre that my grandparents used to frequent, on festivals and other auspicious occasions. As far as I know, Gujaratis believe the combination of curd (yogurt) and sugar, which this recipe involves, to bring good luck to the eater. Amma began to make the dahi kela at home too, because I love it, and then, in time, I began to make it too. Now, let’s look at the recipe for the dahi kela, shall we? Take the yogurt in a large mixing bowl. Whisk gently, adding a little water if you think it is too thick. Cut the bananas into rounds and add them to the yogurt. Add sugar and cardamom powder, to taste. Serve immediately, or after chilling for a while in the refrigerator. You can serve this with rotis or parathas, as an accompaniment, or on its own, as a dessert. I use Robusta bananas to make the dahi kela, because I simply love them. You could use smaller bananas like Yelakki too, but you might want to use more of them in that case. I use home-made curd that isn’t very thick, to make this dish. If you are using store-bought curd that is very thick, use slightly more water. However, do ensure that you do not make it too watery – the dahi kela is supposed to be reasonably thick in consistency. You could omit the cardamom powder if you so please, but I wouldn’t recommend that. Personally, I think it adds a beautiful fragrance to the dish. If you are making the dahi kela well in advance before you plan to serve it, it would be a good idea to store it in the refrigerator till serving time. This will ensure that the curd doesn’t get overly sour, as it is prone to do at room temperature, especially in the hot months of summer. Use fresh curd that isn’t very sour, to make the dahi kela, for best results. I use palm sugar to make this dish, to make it (relatively) healthier. If you don’t have it, you could use ordinary refined sugar instead. You could add dried fruits, other fresh fruits, saffron and nuts to the dahi kela, too. I usually avoid these things, because I like keeping this dish clean and simple. Do you make dahi kela at home too? What is your version like? If you have never tried it out before, please do! Don’t forget to tell me how it turned out! This month’s theme for the Shhhh Cooking Secretly Facebook group is ‘Chutneys’. All the participating bloggers were challenged to whip up a chutney that makes use of the two secret ingredients their partner assigns them with. I have been paired with Kriti Singhal Agrawal, the talented blogger who writes at Krispy Kadhai, this month. She assigned me ‘curd’ and ‘any fresh herb’ as my secret ingredients. I decided to make Dangar Pachadi, a long-lost heirloom recipe from Tamilnadu, that uses curd, roasted urad daal, coriander (the fresh herb!) and, sometimes, curry leaves. Well, technically, this is a raita and not a chutney, but then, anything ground and mixed into curd will inevitably become a raita, right? So, I decided to let that be. Like I was saying earlier, dangar pachadi is a traditional recipe from Tamilnadu, particularly the Tanjore region, which has been lost somewhere in the chaos of modern life. There is another variation of this raita too that used to be prepared back in the olden days – a version that used roasted urad flour instead of urad daal – called dangarma (colloquial for ‘dangar maavu‘) pachadi. ‘Dangar maavu‘ here refers to ‘urad flour’. This pachadi has a very interesting history associated with it. Apparently, there was once a section of Brahmins from Maharashtra residing in the South Indian district of Tanjore, called the Tanjore Marathis. It is these Tanjore Marathis who are believed to have invented the dangar pachadi. ‘Dangar‘ is the Marathi word for ‘the dough used to make papads‘, i.e. urad daal flour. A variation of this recipe was popular among traditional households in Maharashtra as well. Dangar pachadi is something that my mother has grown up eating frequently, a dish I’ve heard her talk about often, but something I haven’t had too many times. I have never tried making it before. Amma was more than happy to teach me how to make this raita, for this challenge, and that is how this post happened. The raita turned out delectable, the smell of roasted urad daal in it heavenly. I served the dangar pachadi with Gujarati-style bajri-methi na thepla, and I am pretty sure it would go wonderfully well with any kind of parathas or as a side dish for rotis. Traditionally, this raita would be served with rice-based dishes. Now, let’s learn how to make this beautiful raita, shall we? Dry roast the urad daal in a pan, on medium flame, till it emits a lovely fragrance. Transfer to a plate and keep aside to let it cool down completely. In the meantime, whisk the curd well. Add salt to taste. Add the finely chopped coriander leaves to the curd. Heat the oil in a heavy-bottomed pan, and add the mustard seeds. Let them splutter. Turn down the flame to medium. Now, add the asafoetida and split green chillies. Let them stay in for a couple of seconds, and then add to the curd mix. When the roasted urad daal has completely cooled down, use a mixer to pulse it to a coarse powder. Add this powder to the curd mix. Mix everything well, ensuring that all the ingredients are thoroughly incorporated together. Serve with parathas, rotis or any rice preparation. I used home-made curd that wasn’t too thick. If you are using very thick, store-bought curd, use about 3/4 cup and 1/4 cup of water. Increase the quantity of urad daal, if you think you’d like it that way. Make sure you roast the urad daal lightly, till it emits a good fragrance. Take care to ensure that it doesn’t burn. Increase the quantity of green chillies, if you would like the raita to be slightly more spicier. You need to just coarsely crush the roasted urad daal, and not make a fine powder. Curry leaves can be added to the raita, too, but I skipped them. If you aren’t planning on using the dangar pachadi immediately, you should refrigerate it until use so that it doesn’t turn too sour. You like? I hope you will try this dish out too, and that you will love it just as much as we did! The theme for this week’s Foodie Blog Hop is ‘vrat ka khaana‘ or ‘food that you can eat while fasting’. Soon, the month of August will set in, and the festive season will begin in India. With the onset of the monsoons, a lot of people fast on various festive occasions, and a whole lot of delicacies are cooked up then. I don’t really have much experience with fasting, but I do have some basic knowledge of the ingredients that are commonly ‘allowed’ during these times. For this week’s blog hop, I decided to post about a fasting food that my family and I love having at any time – Sago fritters aka sabudana vada. Here, I have included three different ways to prepare sabudana vada – the traditional deep-fried version, the shallow-fried version for the calorie-conscious, and the appam pan version for those who don’t want to compromise on either health or taste. Now, let’s check out how to make sabudana vada, shall we? Get the batter for the sago fritters ready first, and then proceed to make them whichever way you want. Soak the sago in just enough water to cover it, for about 2 hours. Then spread it out in a colander and let the excess water drain away. Keep the sago this way, covered, till you use it. Cut each potato into two, and pressure cook the pieces, for 4 whistles. When the pressure releases completely, run cold water over the potatoes and peel them. Mash the potato pieces. Keep aside. Dry roast the peanuts on medium flame, till they are crisp. When they are cool enough to handle, remove the skins. Pulse them for a second or two in the mixer. You need to just coarsely crush them and not make a fine powder. Keep aside. Peel the ginger, and chop it finely. Chop the green chillies finely too. Crush the ginger and green chillies using a mortar and pestle, and keep the paste aside. In a large mixing bowl, add in the mashed potatoes, roasted peanuts, crushed ginger and green chillies, salt and red chilli powder to taste, chopped coriander, and turmeric powder. Mix well. Now, add in the soaked sago to the mixing bowl. Mix well, but gently. Now, you can use this batter to make sabudana vada, as little or as much guilt-free as you want it to be! The deep-fried sabudana vadas will be beautifully crispy on the outside, yummylicious inside. This is my most favourite way to make sago fritters but, of course, it comes with guilt associated to it, thanks to the deep frying. Heat enough oil to fry the sago fritters, in a heavy-bottomed pan, over high flame. When the oil is nice and hot, reduce the flame to low-medium. Make rounds, fritters or flat cutlets out of the batter and fry them in the hot oil, a couple at a time. Fry them until crisp and brown on the outside, turning them gently now and then, to ensure that they are well cooked on all sides. Transfer to a serving plate. Serve immediately. This version of sabudana vada is equally tasty, but not as crunchy on the outside as the deep-fried ones. However, it consumes a lesser amount of oil as compared to the deep-fried version. Heat a dosa pan on high flame, till drops of water dance on it. Spread a teaspoon or so of oil on the pan. Reduce the flame to low-medium. Make flat patties out of the batter and place a couple of them on the pan. Drizzle some oil around them. Let the patties cook on low-medium flame till the bottom gets browned. Then, flip over and cook on the other side, adding a little more oil around the patties. Left: Healthy, no-fry sabudana vada being made in an appam pan, Right: The finished product, straight out of the appam pan! Did you know that you can make healthy, no-fry sabudana vada in an appam pan? The vada made this way are just as crispy and delish as the deep-fried version, but use just a fraction of the oil! Heat an appam pan on high flame till water droplets dance on it. Turn down the flame to low-medium. Form small balls out of the batter and place one each in each cavity of the appam pan. Drizzle some oil around each ball. Let the balls cook, covered, till they are crisp and browned on the bottom. Then, flip them over to the other side, and drizzle some more oil around them. Cook again, covered, till they turn crisp and brown on the other side as well. Sendha namak or rock salt is typically used in dishes during fasting in India, in place of table salt. If you plan to make these sabudana vada on a casual day, and not for the purpose of fasting, you can add regular table salt instead. On a non-fasting day, sabudana vada can be served as is, or with tomato ketchup or spicy green chutney. Here‘s how I make the spicy green chutney – You can make it without onion and garlic, if you are making it for the purpose of fasting. We, as a family, have never really fasted, so I am not very sure of the kinds of ingredients that can be used to cook ‘fasting food’. Moreover, the ingredients that are ‘allowed’ to be consumed during fasting differ from one region to another, one family to another. Here, I have tried to use ingredients that I have seen other families, other people, use during fasting. If you plan to make these vadas for the purpose of fasting, please do check on the ingredients as per your family’s guidelines. We like the hint of sugar in our sabudana vada – they taste a lot like Gujarati sabudana khichdi. You may avoid adding the sugar, if you don’t want to. You like? I hope you’ll try out each of three versions of sabudana vada too! When you do, please don’t forget to tell me how they turned out! Grilled corn on the cob, coated with a creamy sauce, drizzled with lemon juice and red chilli powder, sometimes decked up with coriander, and served with a dash of grated cheese on top are, apparently, a popular street food in Mexico. Street-side carts do a brisk business of selling this corn on the cob, locally called ‘Elotes’. Ever since I tried out Mexican street-style corn on the cob or Elotes at Chinita, a few months ago, I had been thinking of trying it out at home. I never got around to doing that, though, till this weekend. I am thrilled with the way they turned out! The little reading I did on the Internet gave me several different ways of making Elotes. Some recipes used mayonnaise, some didn’t. Some recipes suggested using char-grilling the corn, some didn’t. Some recipes used coriander, some didn’t. Ultimately, I decided to go ahead and make the Elotes my way – a mish-mash of steps from several different results. I used Veeba’s Cheese & Jalapeno Sandwich Spread for the creaminess and some of the wonderful artisanal Cheddar cheese that my husband recently got home from Jerusalem. The end result was delicious, like I said before, and the Elotes were gone within minutes of their making. Purists, balk at my choice of ingredients if you want to, but this version works for me. At least for now. These Elotes were pretty close in taste to the ones I tried at Chinita, so I am happy. Here’s how I made the Elotes or Mexican street-style corn on the cob. Place the pieces of corn in a wide vessel and add enough water to cover them completely. Pressure cook the corn on high flame, for 4 whistles. Let the pressure release naturally, and then remove the boiled corn from the vessel. Let them cool down enough for you to be able to handle them easily. Spread the Veeba Cheese & Jalapeno Sandwich Spread evenly over the pieces of corn. Drizzle some red chilli powder, lemon juice, grated Cheddar cheese and finely chopped coriander over the pieces of corn. Ensure that all sides of the corn are evenly covered with all ingredients. Arrange in a serving plate. Serve immediately. Like I was saying earlier, mayonnaise can be used in place of the Veeba Cheese & Jalapeno Sandwich Spread, too. I tried out both versions, and liked this one better. Any cheese with a sharp flavour works well with this Mexican street-style corn on the cob. If you don’t have artisanal cheese, a processed cheese like Amul should do, too. Adjust the quantities of Veeba Cheese & Jalapeno Sandwich Spread, lemon juice, grated Cheddar cheese, and red chilli powder depending upon your taste preferences. You could char-grill the corn before preparing it, too. I chose to not do that, and used boiled corn instead. This recipe has been developed for Veeba Foods, who have kindly sent across a gift hamper of their products, for me to test and use. You like? I hope you will try out this recipe too, and that you will love it just as much as we did! The moment anyone gets to know about the trip we recently undertook to parts of North-East India, the first question they usually ask is – ‘What did you eat there? I have heard there is no vegetarian food to be found there!’. Now, after our brief sojourn in the North-East, I know that this is a myth – of course, there is vegetarian food to be found there! The husband and I had the same doubts, the same apprehensions, before we undertook this journey – all laid to rest now. Yes, the North-East is predominantly a meat-eating province. People here are used to eating animals of all sorts, every part of the animal, without wasting anything. That doesn’t mean that there are no vegetarians at all here. There are locals and tourists in the North-East who prefer vegetarian food, and consequently, there are restaurants there that cater to them. Pure-vegetarian places might be tough to come across, but you will surely find vegetarian food in places that serve non-vegetarian food – you should be okay with that before you undertake a trip to the North-East. Also, if you are going to be constantly on the go, flitting from one place to the other, you might not be able to find a purely vegetarian eatery where you are. Shillong, in Meghalaya, being a major tourist attraction and a town, has a generous smattering of restaurants, small and big. Most of these eateries are located around Laitmukhrah and Police Bazaar. There are several stalls selling eatables of all sorts around tourist spots in and around Shillong, like Umiam Lake, Don Bosco Cathedral, Ward’s Lake, the Don Bosco Centre For Indigenous Culture, and Lady Hydari Park. Walk around any of these areas, and explore the local foods at your pace, that’s what I would recommend! Now that that is off my chest, let me tell you all about the vegetarian fare we enjoyed in Shillong, one of the places we stayed at in the course of our holiday. Post our sojourn at the ancient Don Bosco Cathedral in Laitmukhrah, Shillong, we headed to a little sweet shop without a name, nearby, for cups of tea. It was tea ‘o clock too, but the husband and I got fascinated by the Indian sweets on display in the glass showcase at the front of the shop. We ended up ordering some, and getting delighted by one of them in particular. The gulab jamun here was average, and the mishti doi was sour and utterly forgettable. The malai chamcham was beautiful, beautiful, beautiful, though – so very well done, fresh and light and mildly sweet. The rasmalai here was exquisite, too. I don’t remember exactly how much we paid here, but I do remember that it wasn’t much. The grub here was far, far less expensive than it would have been in a place like Bangalore. In the bustling Police Bazaar area in Shillong, restaurants are aplenty. You’ll find pure vegetarian food here, as well as eateries serving a mix of vegetarian and non-vegetarian fare. Then, there’s the plethora of street food available here – in the evenings, this area veritably turns into a street food haven, especially for meat lovers. We wanted to sample some Khasi fare, the food of the Khasi tribe that majorly inhabits Shillong. At our tour operator’s suggestion, we headed to Red Rice in Police Bazaar, a place that prides itself on serving authentic vegetarian and non-vegetarian Khasi food. We ended up thoroughly enjoying our meal here. The husband had a vegetarian Khasi thali that was an extremely simple, yet hearty affair. The daal cooked with greens was simply beautiful, as was the mustard-y onion salad. The mixed vegetable curry and chutney that were part of the thali were oh-so-flavourful, too! I got myself a bowl of Khasi-style red rice and one of Buddha’s Delight, the last one being a mix of soup, thin noodles and veggies. The Buddha’s Delight was, again, such a simple thing, but so very flavourful – adding oodles of oomph to the plain red rice. It was, sort of, marvellous to see how a meal could be cooked up with so little ingredients and yet be fulfilling. We, city-dwellers, do have a lot to learn from people like the Khasis, who live every day in the face of hardships. We paid about INR 250 for this meal, as far as I can remember. Most of the travel guides we read about Shillong seemed to mention Cafe Shillong, all praises for the local bands that play here over the weekend and the wonderful food the cafe serves. When we visited, though, it was a week day, and there was no band. The food here, sadly, didn’t meet the high expectations that we had had. The vegetable clear soup we ordered was strictly okay – watery and lacking in taste. The Pasta Arabiatta was just average, too, as was the Singapore Fried Rice. Well, maybe, this isn’t a great place for vegetarians, I am guessing! Cafe Shillong happens to be an expensive place, with prices at par with several high-end cafes in Bangalore. I think we paid about INR 900 for this meal. Walking around the streets of Laban in Shillong, we came across this small shop run by a Marwari gentleman, a place without a name that sold only vegetarian food. Apart from regular fare like parathas, chowmein and fried rice, this eatery also sold tea, aloo chop, pav bhaji and a variety of chaats. We had lunch at this little shop one day, and absolutely loved the aloo chops that we tried out. The tangy, spicy, mustard-y sauce that was served with the aloo chops was just brilliant – it was a Shillong special version that tastes both like chilli sauce and kasundi. Must try! The pav bhaji we had at this shop wasn’t mind-blowing, but was definitely good. While in Shillong, we had the opportunity of staying at Dew Drop In, a lovely place owned by a Khasi family. Our Khasi hosts were more than happy to cook us an authentic local meal with vegetarian ingredients. Here, we got to sample Khasi daal (made with greens), mixed vegetable curry, ja stem (a Khasi dish of rice cooked with turmeric, green peas and onion), a pickle made with local sour berries, along with rotis, curd and green salad. Every single dish that was a part of this meal was absolutely delicious – simple but hearty, well cooked and flavourful. I know for sure that I am going to try making the Khasi daal and jado stey at home! Apparently, the weather, the rolling slopes of the hills, the soil all over Meghalaya are extremely conducive to growing pineapples, and they abound in the state, lovely ones at that. One of the days we stayed in Shillong, we dined at Lamee’s – a big, multi-cuisine eatery that offers both vegetarian and non-vegetarian fare – at Police Bazaar. Sadly, the meal was utterly forgettable, with everything that we tried out lacking in flavour. The vegetarian chowmein at Lamee’s was nothing special, and neither was the burnt garlic fried rice. The prices at Lamee’s are on the higher side, though. I remember paying about INR 700 or so for our meal. We tried out the vegetarian momos from one of the street-side stalls outside Ward’s Lake, for all of INR 20. The momos had a thick, floury shell (as opposed to the thin covering I am used to in momos in Bangalore), but the filling was delicious. The same was the case with the vegetarian momos we tried out at a street-side stall in Police Bazaar, too. The jhalmuri we had from another street stall at Ward’s Lake was not great, though. We came across this lady selling assorted local berries, while walking around the Golf Course in Shillong. She was sweet enough to oblige us for some photographs, and sweeter to offer the bub a toffee! We had a good time trying out this berry and that. Most were lip-puckeringly sour, though, and, I am sure, would have made for gorgeous pickles. I forget the local names, though. Left: The lady selling local berries at the Golf Course, Centre: The assorted berries the lady had on offer, Right: One of the types of berries that we sampled – sour, sour, sour! You can find these berries on sale at Police Bazaar, too, in case you are interested, along with oranges, apples, bananas, strawberries and litchis. 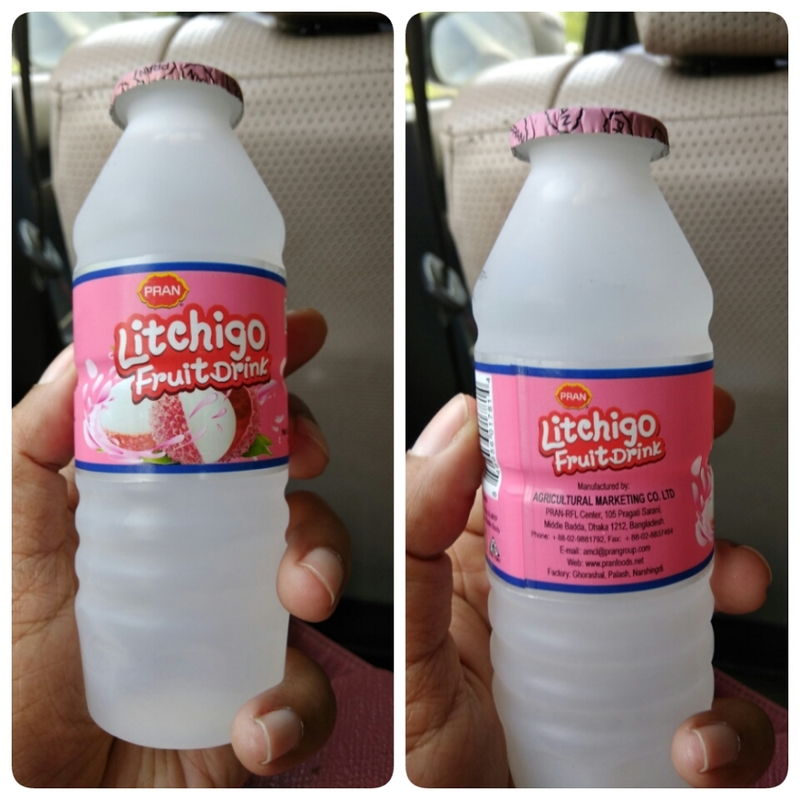 Our cab driver suggested that we should try our this litchi drink from Bangladesh, commonly available in Shillong. We picked up a couple of bottles, for INR 10 each, and they were absolutely delightful! We even got some of these bottles back to Bangalore as souvenirs! I hope you have been reading and enjoying my other posts about our trip to North-East India! If you haven’t, here are the links for you! Are you looking for a different-from-the-usual snack that can be made fairly easily? Try out these kacche kele ki tikki or raw banana cutlets, which are simple to prepare, but delish. They are shallow-fried, so not as much of a guilty indulgence as a deep-fried snack, but equally good! Anddddddd….. they are just perfect for the rainy evenings that seem to be the norm these days, especially in Bangalore! I served these beautiful raw banana cutlets or kele ki tikki with some Veeba Cheese & Chilli Sandwich Spread, which added a beautiful depth of flavour to them. Who says sandwich spreads are only for sandwiches, eh? 🙂 The spicy green chutney and tomato ketchup I also drizzled on the cutlets complemented them beautifully, too. Now, let’s see how to make these kele ki tikki, shall we? Roast the peanuts on medium flame, till they turn crispy. Ensure that they do not get burnt. Let them cool down completely. Meanwhile, remove the tail ends of the raw bananas, and cut each one into two pieces. Pressure cook the raw banana pieces in salt water, for 4 whistles. When the pressure has completely gone down, remove the boiled raw banana pieces from the cooker and run cold water over them. When they are cool enough to handle, peel them. Into a large mixing bowl, mash the boiled raw banana. Add the salt and red chilli powder to taste, asafoetida, garam masala or chana masala, finely chopped coriander and onion, and amchoor powder. After the peanuts have cooled down completely, remove the skins off them. Pulse the roasted peanuts in a mixer for just a second, so that you coarsely crush them. Do not make a fine powder. Add the crushed peanuts to the raw banana mixture in the mixing bowl. Mix all the ingredients in the mixing bowl, well. Ensure that everything is thoroughly combined together. Shape cutlets out of this mixture, in the shape of your choice. Heat a dosa pan on high flame, till droplets of water dance on it. Now, turn the flame to low-medium, and spread some oil in the centre. Place two cutlets on the pan, and add a little oil around them. Let them cook till they get crispy on the bottom. Flip the cutlets over, and add a little more oil around them. When done, transfer to a serving plate. Make cutlets out of all the mixture in the mixing bowl, and shallow fry them in a similar manner. Serve the cutlets piping hot, drizzled with some Veeba Cheese & Chilli Sandwich Spread, spicy green chutney, and tomato ketchup. You can add in some boiled potatoes and/or ginger-garlic paste too. I skipped them. If you wish, you can coat the cutlets in some bread crumbs and deep-fry them, too. I opted to shallow-fry them. 2 slices of bread, dipped in water, with the excess water squeezed out, can be added to the raw banana mixture too. I didn’t add them. To make a Jain version of these cutlets, omit the onions and ginger-garlic paste entirely. Like I was saying in this post, cooking with millets is something I have started relatively recently. The Organics & Millets Mela 2017, held earlier this year, inspired me to do more with millets in my kitchen. Since then, I have been experimenting a lot more with millets than ever before, trying out new things, learning, learning, learning all the time. At the Mela, we were shown technology that could make vermicelli out of different types of millets. Back then, you wouldn’t get millet vermicelli in stores except, maybe, finger millet aka ragi vermicelli – it was still an emerging field. Recently, I was thrilled to spot packets of all kinds of millet-based vermicelli at Eco Store, HSR Layout. I picked up a couple of packets – little millet and pearl millet (bajri), and made vermicelli upma with them. I must say, the millet vermicelli upma turned out scrumptious! Millet vermicelli upma makes for a nice change from upma made using the regular rice-based semiya (vermicelli). This version is healthier than the rice-based upma as well. Cooking millet vermicelli is easy too – it just needs a slightly different technique than cooking rice-based semiya. Now, let’s get on to the procedure of using millet vermicelli to make upma, shall we? Soak the millet vermicelli in water for 2 minutes. Use plain water, just enough to cover the vermicelli completely. After 2 minutes, pour out all the excess water from the vermicelli. Place the soaked vermicelli in a colander for a couple of minutes, so that all the water entirely drains out. Take a little water in a pressure cooker bottom, and place it on the gas. Place a stand at the bottom, and place a plate over it. Over this, place the colander with the millet vermicelli. Close the cooker. Without placing the cooker whistle, steam the vermicelli for 8-10 minutes, on high flame. Remove the colander from the cooker, and let the vermicelli come to room temperature. Now, fluff up the millet vermicelli, using a spoon, gently. Heat the oil in a heavy-bottomed pan and add in the mustard seeds. Allow them to pop. Add in the asafoetida, and let it stay in for a couple of seconds. Now, add in all the veggies – chopped onions, carrot, cabbage, beans, capsicum and green peas, along with salt to taste. Cook the veggies on a high flame, till they are done, but not overly so. Turn the flame to low. Add in the cooked vermicelli, curry leaves, slit green chillies, turmeric powder, chilli powder (if using), and salt to taste (if required). Mix well, but gently. Let everything cook together, on low flame, for a minute or two, stirring intermittently. Switch off the gas, and add the finely chopped coriander and lemon juice. Mix well, with gentle hands. Serve piping hot, on its own or with chutney of your choice. Any millet vermicelli – finger millet (ragi), little millet, pearl millet (bajri)- can be cooked in this manner. Soaking and cooking times for the millet vermicelli might vary, depending upon what brand you use. Do check the instructions on the package for detailed instructions. You can increase the number of green chillies you use, if you need extra heat, and skip the red chilli powder altogether. Any veggies that you have on hand can be used to make this millet vermicelli upma. Alternatively, you could make the upma using just onions, green peas, and green chillies, and skip using the other veggies. We do both variations, and find them equally tasty. A tablespoon of grated, fresh coconut can be added at the end, too, for extra taste. Ensure that the cooked millet vermicelli has cooled down completely, before proceeding to make the upma. Don’t miss this, otherwise you will end up with a gooey upma. It is critical that the millet vermicelli be cooked in a pressure cooker, placed in a colander, to ensure that it is cooked thoroughly. Keep the colander with vermicelli atop a plate, which is placed above a stand inside the pressure cooker, to ensure that no water enters the colander. Do you make upma using millet vermicelli too? If so, do tell me your method of preparation too – I’d love to know!